For a custom delivery proposal, please provide the details of your yacht, delivery, time frame and any other important considerations. We will prepare a proposal tailored to your yacht and program. Thank you. Reliable Yacht Deliveries provides a responsible, experienced and resourceful licensed captain and crew to ensure an efficient, dependable and safe delivery of your power or sailing yacht. Our schedule is flexible to fit your needs. We do yacht deliveries worldwide. 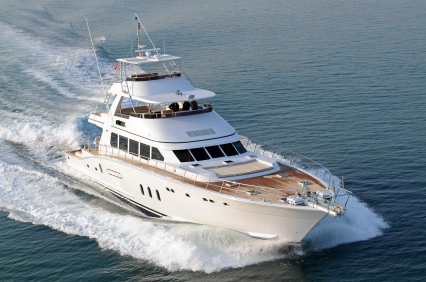 Why Choose Reliable Yacht Deliveries (RYD)? We're reliable, vigilant, resourceful and proficient. With more than 30 years experience on the water, Reliable Yacht Deliveries (RYD) focuses on professional, low-risk, on-time yacht deliveries. You can trust that your yacht will receive the highest quality care on its delivery. We deliver both Sail and Power Yachts anywhere in the world. Reliable Yacht Deliveries gives you the confidence to get your yacht delivered where you would like to enjoy it next, safely and professionally. Delivery Details - Type of Yacht? From/To? When?